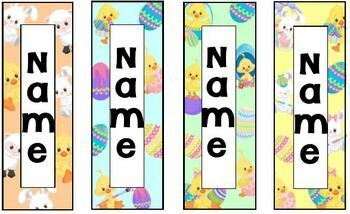 These Editable Personalized Easter & Spring bookmarks are a great to give your students for Easter or just anytime in the Spring and this set includes 28 different bookmark designs. 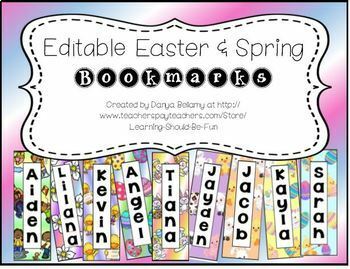 They are editable, so you will just type your students names onto them, to personalize them. You can change the font to any font that you like on your computer. 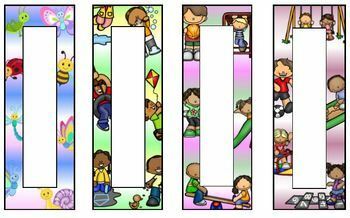 If you have kiddos with longer names, you can change the size of the font, or the spacing between the letters to ensure they all fit in the space provided. This document is a publisher document. If you have Microsoft Office on your computer you should have publisher. If it is not a program that you typically use, you might need to go into your programs list and add it. If you have any questions about how to change the font or the spacing on these, in publisher, just email me at danyabellamy@yahoo.com and I can help you. If you like the font on my cover for this product, it is a free font called The Last Time at Kimberly Geswein Fonts for personal use. Just follow this link to download it. 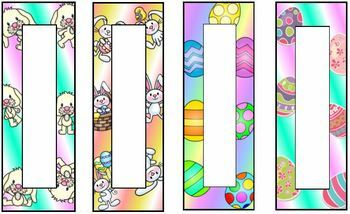 For more gifts, activities, games, printables, and emergent readers, please visit my store at www.teacherspayteachers.com/Store/Learning-Should-Be-Fun.